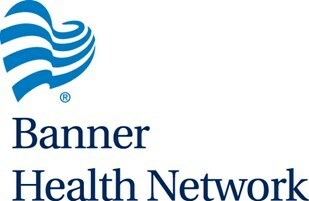 The Banner Health Network (BHN) has been designed to provide a highly coordinated patient care experience to Medicare beneficiaries and other members in private sector insurance plans who will be served by this integrated network. BHN is comprised of Banner Health-affiliated physicians, 13 acute-care Banner hospitals (12 in the Phoenix metro area) and other Banner services in Arizona. Nonprofit Banner Health is Arizona’s largest health care provider. The University of Arizona Health Plans (UAHP) services over 200,000 members throughout Arizona. Through its own health plans, University Family Care and University Care Advantage, and administrative agreements with Maricopa Health Plan and Maricopa Care Advantage, UAHP provides comprehensive care for Medicaid and Medicare beneficiaries . UAHP is a Division of Banner Health Network with corporate headquarters in Tucson, Arizona and offices in both Tucson and Phoenix. BHN is a comprehensive provider network that accepts patient care and financial accountability for those served by the network. It is one of a few networks in Arizona serving patients in a population health management model. 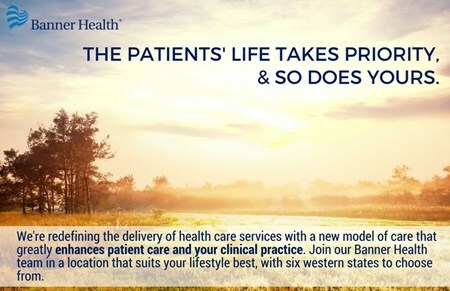 This model offers a highly coordinated patient experience through a primary care setting that seeks to improve patient outcomes, provide more effective management of chronic care and emphasize wellness. A key result of this patient-centered model will be higher efficiency that will result in reducing costs. A foundation of the Banner Health Network’s ability to deliver highly coordinated and integrated patient care is an enhanced electronic medical records system that is utilized in all Banner hospitals.